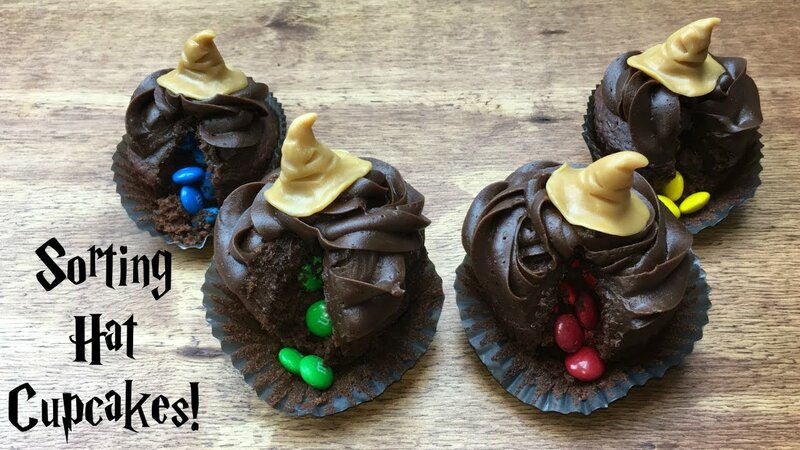 Take a look at some of the Pottertastic ideas! 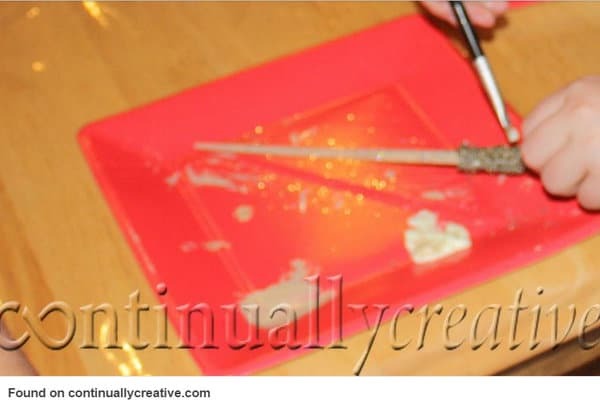 Have you ever thought of having a Potter Party, and making your birthday as magical as ever? Well now you can! Take a look at some of these fabulous items that you can use to celebrate your special day. Why not start with sending your friends these fancy invitations via owls? 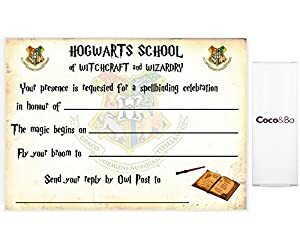 You could even add your own Hogwarts seal stamps! Instead of having the usual birthday banners you can create your own Hogwarts banners! Now there is nothing wrong with asking your fellow friends to come dressed up is there? Perhaps ask them to come in their wizarding cloaks and their house scarfs, or if they really wanted to they could dress up as an elf, now who will be serving you your food? Talking about food, that’s an essential at a party and admit it, we ALL know that! 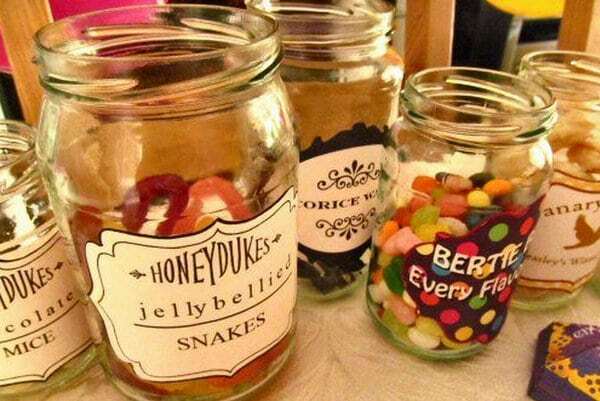 Instead of just buying normal sweets such as Jelly Beans, why don’t you place them in a jar and label it “Bertie’s Every Flavoured Beans.” You can even confuse your friends. 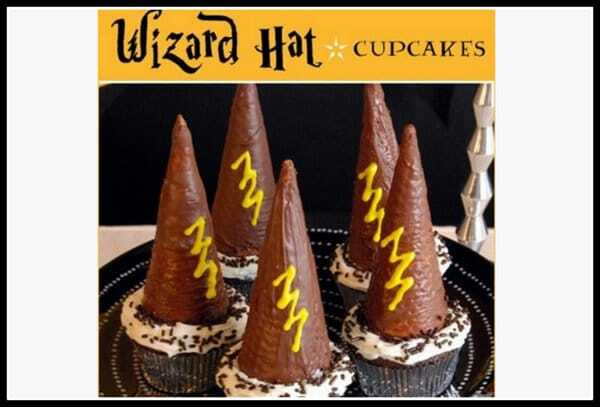 Also look how clever these Hogwarts cupcakes are, you can even have your own sorting house cupcakes! And surely along with food you need drinks too. 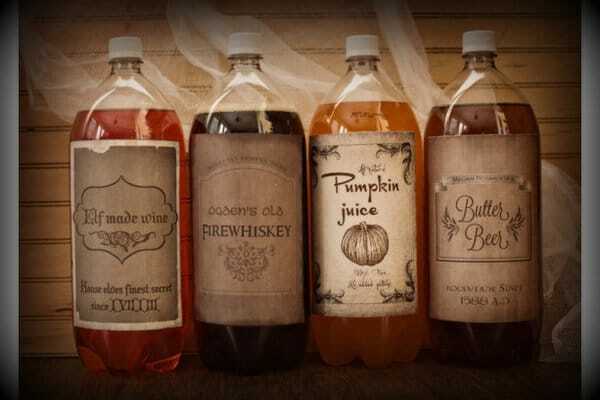 Why not label your drinks, just get some normal fizzy drink and then take off the original label and replace it with a “Pumpkin Juice” label. With all that food and drink there is always room for some CAKE. Now who doesn’t love cake? *That was a sarcastic question, everyone loves cake* ;) Why not get yourself a Harry Potter themed cake to go along with your Potter Party? You cannot have a party with a few crafts and games, AT LEAST a few games. Take a look at these creative ideas. 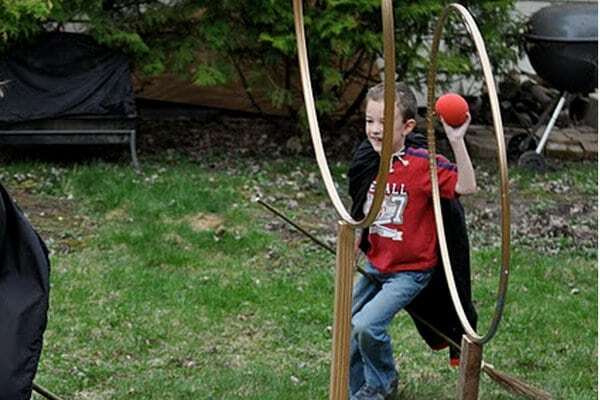 You can create your own wands and even roleplay and duel with them, but don’t cause too much chaos! Even if this doesn’t cause a mess then this most certainly will! 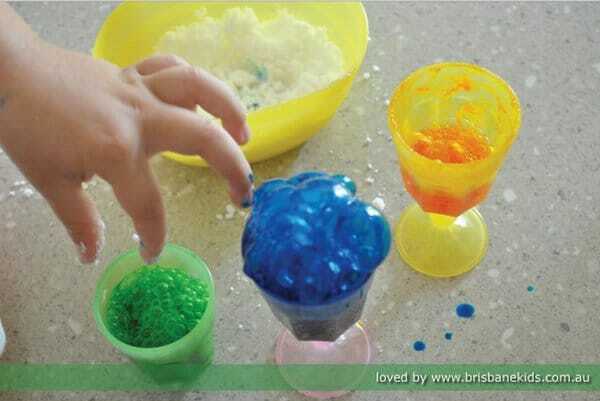 Fancy experimenting with paints and different ingredients that you can get your hands on to create some funny looking potions! It’s so simple and pretty. Nobody leaves a party without a goody bag, am I right? 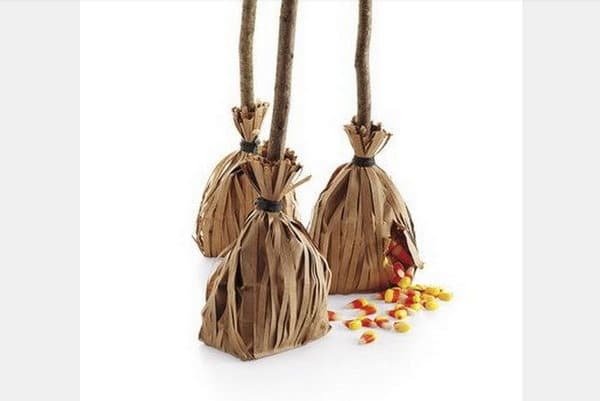 Well after an intense game of quidditch and a lot of mess and chaos caused, it’s time for everyone to settle down, but look at these fancy bags full of goodies! Don’t they look rather appetizing? Now, it’s time for everyone to leave the party so that the parents (obviously it has to be the parents) can clean up the house, READY FOR THE NEXT PARTY! I wish, but that’s all for this blog folks, I hope you enjoyed and perhaps even took some inspiration from it! Ethan Belenger That was great! I wish I had that blogging skill. Lucy Heartfilia I don't know why, but my little sister just ran down from her room all dressed up as a wizard and she keeps asking me if I'll go to the store with her and bye her stuff, and this was after I read the blog to her.......... why are my sisters to weird?! Verity Sparkes Wow Max, I love the idea of the Sorting Hat and labelling all of the drinks and snacks with themed labels. The best part was that meme at the end though! Addie Limewood That's so good! My next birthday party will be just like that! Rafael Woods Very great article! I already know the theme for my next birthday! Frostip Winter Amazing ideas and a lot of thought put into this. I would love to have a party like this. Adeline Chores Good job Max!! Mattius Sanchez I am an adult and I want this. SunHi Rutherford This was fantastic!! !